Devils Town (Djavolja Varos) is a natural monument in southern Serbia, known to many as one of the 77 candidates for natural world wonders. 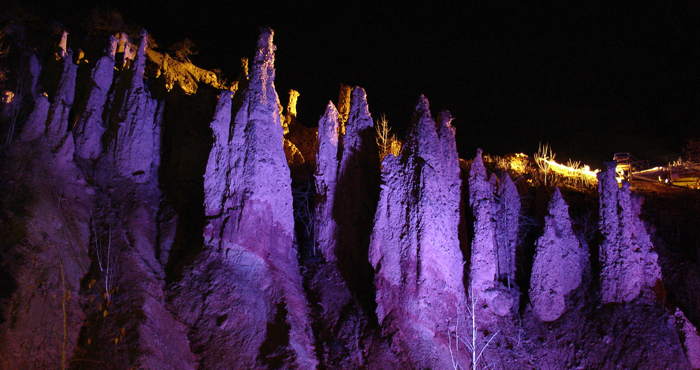 When it entered the competition two years ago, Devils Town was the most successful European candidate in its category (rock formations) and, even more importantly, it ran the race until the very final vote, which ended in the summer of 2010. This period also marked the beginning of activities aimed at the nomination of this site for the UNESCO World Heritage List. Devils Town, is situated in southernmost Serbia, 27 km far from the town of Kursumlija, on the slopes of Mt Radan, which boasts a large number of mineral and thermal springs. 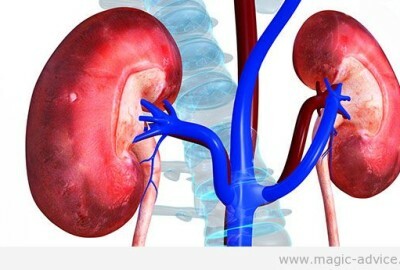 Due to a high concentration of minerals, the whole area is destitute of vegetation. The land there easily erodes and creates mischievous landscapes. Devils Town apparently consists of 202 earthen figures, two meters tall, all wearing caps on the top. Actually, those are andesite plates – rocks created in an intense volcanic eruption of millions of years ago. For centuries, they have been pressing the soil, which gradually changed its appearance and was transformed into figures of various odd shapes and dimensions. Back in the past, people were unable to account for the origins of Devils Town, so many legends were told on the subject. One of the legends has it that the earthen figures are actually remnants of churches which were devastated by devils. Unaware of the fact that the changing appearance of the earthen figures was due to land erosion, the locals, full of fear, believed that the figures kept moving and growing. 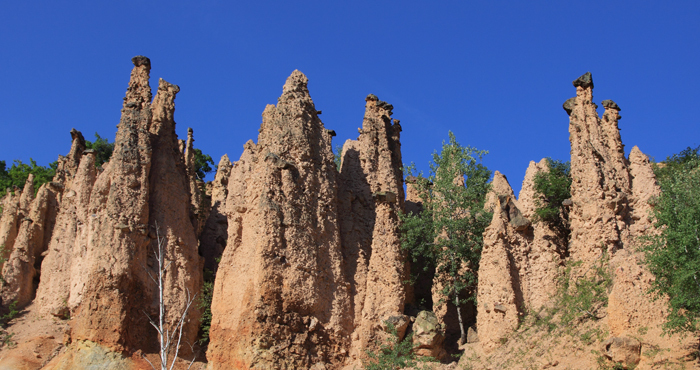 Only recently has Devil’s Town become a tourist attraction, the only European one that can compete with the much more celebrated Garden of the Gods in the USA. The local imagination created many more legends, according to which the earthen figures of Devils Town represent a petrified wedding party, or some petrified rebels, or even petrified devils, who had been outsmarted by local boys. There are also tales concerning the red water that flows there, which, in reality, owes its color to particles of iron ore sliding down from the mountain slopes. In medieval Serbia, there were many iron mines in this area, which is confirmed by the existence of two pits in the close vicinity of Devil’s Town. 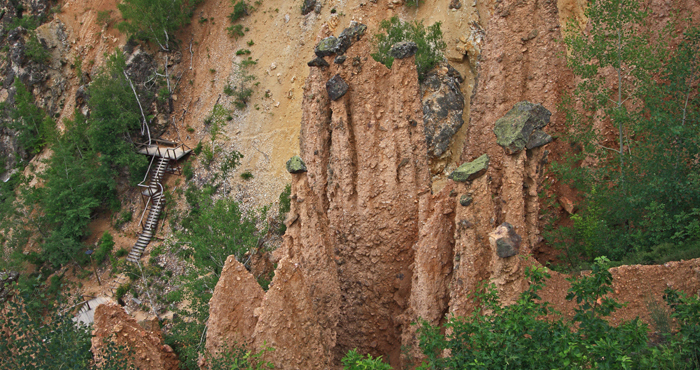 Since 1959, Devil’s Town has been under state protection. In 1995, by a decree of the Serbian government, it was proclaimed a natural asset of outstanding significance, so 67 hectares of its surface fall under the first protection category. During the campaign for Seven Natural World Wonders two years ago, much work was completed on the site – a 9km-long artery, a car park and a viewpoint were built, the path was illuminated, water was supplied and a maintenance service was organized with accompanying facilities. The decorative illumination enables nightly tours of the site, which is visited by more than 50,000 guests annually. In cooperation with the National Institute for the Protection of Cultural Monuments, a program for the expansion of the protected area, which is to be proclaimed a geological park, is being prepared.